Today is the XP’s last day as a supported operating system. At midnight EST we enter the world of “Zero Day Forever.” The “XPombie XPocalypse.” A long day’s journey into digital night. So download your Microsoft Updates now. Get your copy of Microsoft Security Essentials. And raise a glass to the late great XP. While we can hardly say you were cut down in your prime, there was always the feeling that you might outlast us all. XPs final development version was codenamed “whistler” after the Whistler-Blackcomb ski resort. It’s first designation was “Neptune”. The metro screen, or at least a version of it called “Starting Places” and “Activity Centers” was proposed for XP. Thankfully it was removed. 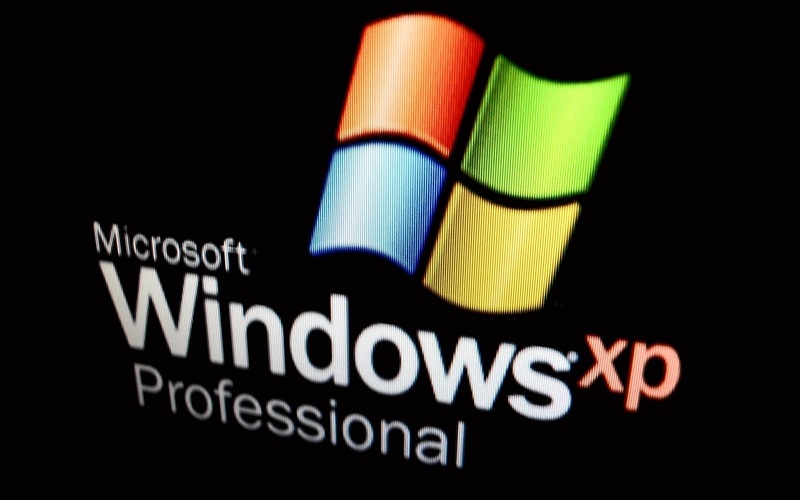 XP was first available for commercial purchase on October 25th 2001. You could buy computers with XP installed until just a few years ago. Instead of supporting USB 2.0 at release, XP included support for Firewire. XP was the first operating system of Windows to include remote desktop and product activation. XP shipped with Direct X 8.0 which was later upgraded to 9.0c, probably one of the more ubiquitous versions of DirectX, still supported by a lot of games today. The XP with Service Pack 3 disc (the latest version available for sale) sill included IE 6.0. The latest version of IE supported by XP was 8.0. We’re now up to 11. The N and KN versions of XP come without windows media player installed to combat the dominance of Microsoft’s own Windows Media Player. XP is still the second most used operating system, at 27%. XP’s version number is 5.1. And of course, XP is short for eXPerience. Can you gain eXPerience points? If so I have thousands. I have three (mine, my wife’s and my mother-in-law’s old machine) aging Pentium 4 desktops (more than ten years old) each of which came installed with XP, as well as my netbook, which came with XP Home Edition. My first computer I bought with my own money, which was also the computer I used throughout college, was a Dell XP I bought for six months worth of working at the library. My first work computer was XP. The physics lab I worked for at OSU had XP installed on an oscilloscope. This OS has been a part of my working, gaming, computing and writing life for years. Most of the novels I’ve written to date were composed on XP machines. On my netbook I’ve written more than 300,000 words (not to mentioned generated thousands of fractals on all my computers). I’ve played some of my favorite games on that old desktop: Max Payne 1+2, Elite Force 1+2, Battlefield 1942, Half Life 1+2, Deus Ex and the list goes on. XP was also the first operating system I learned to tinker with, and probably one of the last to trust me to know what I’m doing. Now we have user account control and Windows SmartScreen (more on those tomorrow). Aside from a little warning that maybe I want to be careful messing around “C:\Windows” or my Program Files, XP let me have it, tinkering my settings, learning my registry and just generally wreaking all kinds of fun havoc. Every other system has tried to hide my new powers from me because its afraid I’m going to mess up my machine without even trying too. Trust me, I remember the pain of messing up my boot INI and having to boot up my Windows 3.1 device with a boot disk for the rest of its life (though now that I think about it that wasn’t a bad security measure). I know what not to touch, and especially what not to delete. It may be weird to get sentimental about an old operating system, but this is one that I knew really well. I could even use some of my old DOS knowledge even though XP didn’t officially run on DOS. I learned emulators, programming, graphics generation, and whole new worlds of games on this OS. To a certain degree, computers are our modern portal to the outside world. We tweak their backgrounds and icons to best suit our needs. We put them on our laps even when they’re called “notebooks”. We create, we play, we laugh at stupid cat videos. XP was how many of us did that for 12 years. Let’s appreciate that gift and feel better for the eXPerience. Then let’s all get a beer and swear about 8.1. But don’t worry, I feel your pain. Tomorrow we’ll talk about how to make 8.1 a little more bearable. A little. You could… buy a REAL machine where the OS was designed to fit the hardware. XP kept Microsoft in the game for a while, but they just don’t seem to be able to steal ideas fast enough or refine them in time to stay relevant anymore. I do like the VM idea. If that’s a subtle reference to Macs I thought I got rid of you people yesterday 🙂 Here’s the truth, I expect anyone still running XP, or running any version of Windows for that matter, probably doesn’t have the money for an iPad or a Macbook Air or any of those things. And after my first $800 laptop died after just two years, I’ve been a little sticker shocked to spend anything over $350 for a laptop. The thing is, for that money I can get a great tool, and any version of Windows can run all the development programs, games and random programs I want. And while I agree Microsoft seems to borrow ideas a lot, there are reasons why Windows 7 is the dominant OS, by a landslide. If Mac made a $399 laptop with a dual or quad core processor, 4-8GB of RAM and a 500GB hard drive, I’d pay attention. But they’re not that interested in making that kind of hardware. My new ASUS has an 11.6″ touchscreen, 4GB RAM, a 1.86 GHZ dual core processor (can boost to 2.13) and a 500GB hard drive for $329. It’s lightweight and thin, but not so thin that I feel like I’m going to break it. HDMI and VGA out, still has a ethernet port for wired connections, 3 USBs (one 3.0). Says it has a 5 hour battery life but in real life it seems to be even better. And yes, unfortunately Windows 8.1 (but tomorrow’s post will talk about how to make 8.1 a little better, and you can always dual boot Zorin which I cover Thursday).